Cherwell Laboratories will be exhibiting their range of specialist products for environmental monitoring and process validation at Pharmig’s “How to successfully implement a disinfectant into the Pharmaceutical, Healthcare, Cosmetics & NHS Industries” seminar. The one-day seminar, to be held on Thursday 20th June, aims to outline the process for selecting the most effective disinfectant product by generating a compliant and comprehensive validation package. Details of the event, which is free to attend for members of Pharmig, plus membership options can be found at www.pharmig.org.uk/. Cherwell Laboratories will be available throughout the event to provide delegates with practical advice and solutions, whilst demonstrating a selection of products from their extensive environmental monitoring and process validation range. Andrew Barrow, Sales Manager at Cherwell Laboratories, commented, “Cherwell’s reputation has been built upon our ability to provide expert support to individual customers, ensuring their specific requirements are met”. He added, “By supporting these events we can maintain our knowledge of current issues within the industry, ensuring our product offering and advice remains relevant”. 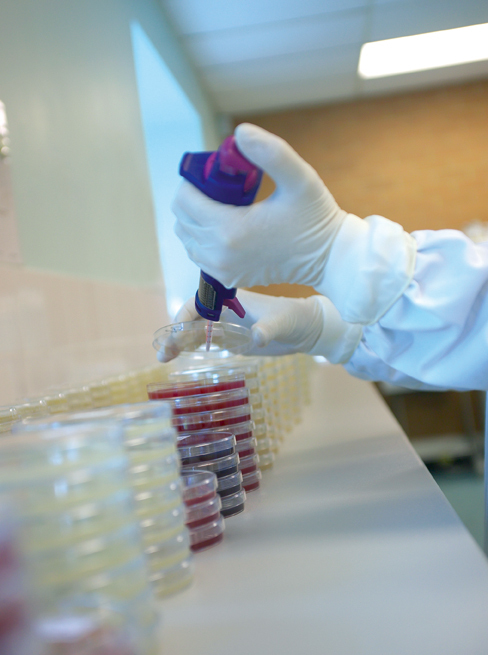 Cherwell’s product range includes Redipor® prepared microbiological media, a comprehensive selection of petri dishes, settle plates, bottled media, broth bags, vials and ampoules suitable for a variety of applications, including environmental monitoring. Cherwell also supplies SAS microbial air samplers for environmental monitoring, plus biological indicators for the validation of sterilisation processes.